71% of America’s freight moves on trucks according to American Trucking Assn. figures. And each month the Department of Transportation registers more than 40,000 commercial driver’s licenses. Everyone wants their fleet drivers to be safe, be on time, be efficient and to promote the growth of business. To inspire their drivers, more and more companies are also looking to incentivize good driving behavior through rewards programs. While there are multiple ways to motivate a workforce, let’s look at how technology can help fleets achieve results in this area. Technology does more than monitor fleet drivers. It can play an instructional role to teach and coach improved driving behaviors. In-cab automated voice alerts can offer real-time advice to the driver when they speed or brake harshly. By prompting drivers to avoid unsafe driving, a ticket or crash can be averted. 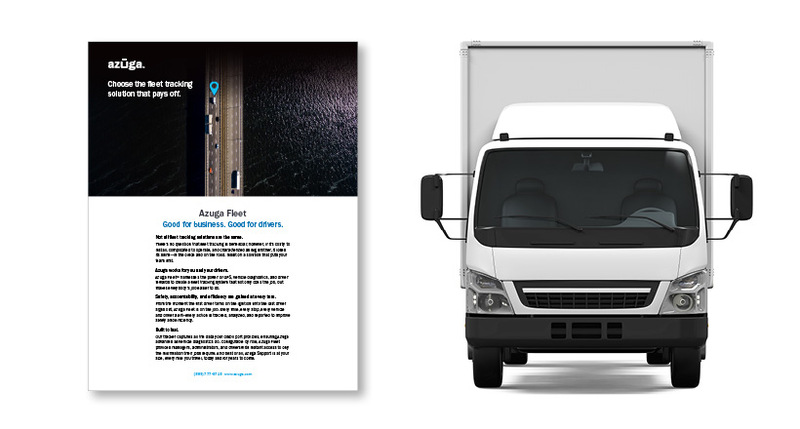 94% of fleet managers who use Azuga GPS say that fleet management provides more information about their fleet than they had before. New innovations allow fleet managers to gather more information than ever before. Detecting a Crash or Roll Over: If your vehicle is in a crash, you are instantly notified by phone or email. Emergency Button: By pushing this button, the fleet driver can get help via hands-free communication over the mobile network. Work Alone Timer: Fleet Manager receives an alert if the driver hasn’t returned to the vehicle by a specified time. This is usually set by drivers. Seat Belt Use Alerts: Notify fleet managers when drivers are not wearing a seat-belt and alert the drivers. Exception Alerts: Fleet Manager is notified via SMS or a phone call if the driver is involved in any major rule violation. Signal Jamming Detection: A protective measure that detects the use of GPS and GSM jammers. 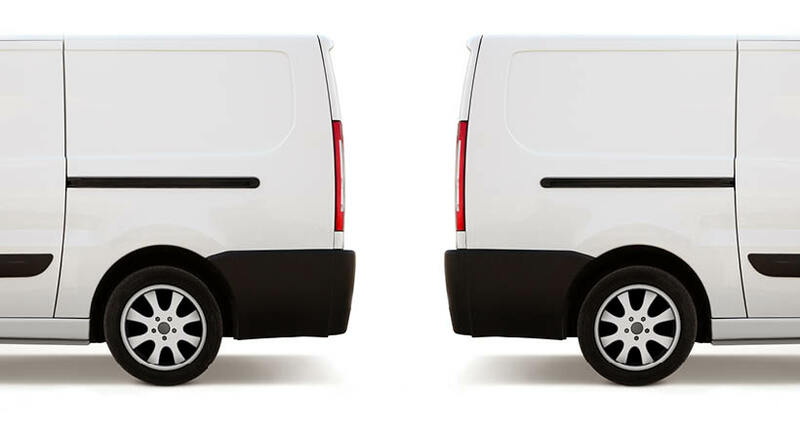 This helps prevent vehicle hijacks and uses GPS to retrieve stolen commercial fleet vehicles. ‍‍It is not just the drivers that can improve. 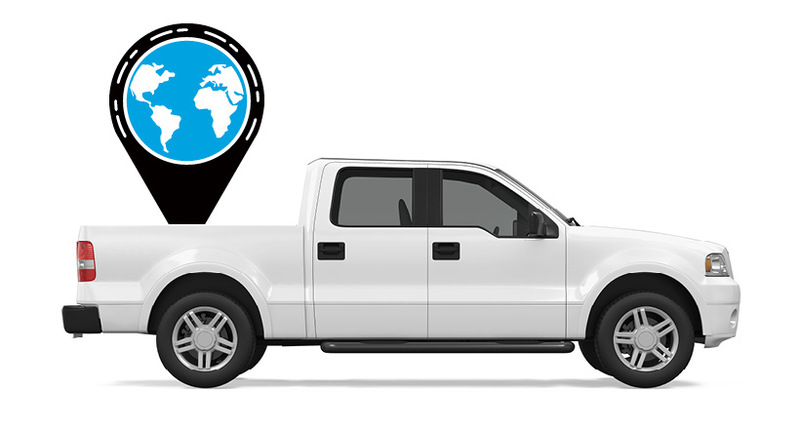 GPS tracking solutions can also improve the actual vehicle’s performance and maintenance. This can mean significant savings for small businesses and larger fleets alike. Innovations in fleet performance can drive as much as 53% improvement in wear and tear on vehicles which reduces fleet management expenses. In addition, new innovations allow fleet managers to stay updated about the maintenance of their fleets. Vehicle Inspection Alerts: Before and after a trip, the fleet driver gets a checklist of trip instructions and vehicle inspection. Driver/Vehicle Inspection Reports (DVIR): Entirely digitized checklists for ease of use. Driver/Fleet Scoring: Scores can be used to introduce gamification (drivers can see leaderboard updates) and give out prizes to top performers. This promotes safety and also identifies which fleet drivers need coaching. ‍‍Advanced Driver Assistance System (ADAS) is a technology in which cameras and sensors connect with the fleet vehicle’s computer. The ADAS system looks out for speed limit signs, lane markings, and for other drivers. It improves driver behavior with real-time feedback. Working with a telematics solution, ADAS allows fleet managers to analyze day to day driver performance and identify those in need of coaching. ADAS can help raise safety and reduce fleet costs associated with accidents by sounding a timely alarm of an impending collision. Azuga DashCam automatically records up to 10-seconds of video before and after an incident related to hard braking, sudden acceleration or hard cornering. These video clips are added to individual driver breadcrumb reports that include specific time, date, location and speed details. Videos are then analyzed and given a video risk score. This can help fleet managers determine whether drivers are at fault for incidents, and whether driver behavior modification is necessary. ‍App-based general alerts can help commercial fleet drivers deal with weather conditions such as snow or storm warnings and select safer routes. These help companies save fuel, deliver better service and keep the consignments safe. Two other important areas of focus for fleet driver protection are Driver Distraction Warning and Fatigue DetectionSystems. These systems monitor driver posture and detect hand gestures and yawns. They detect erratic speed variation and inter-lane driving, issue a warning to the fleet driver and initiate other appropriate action. As per Azuga’s study released in 2018, accident risk rises by 9.1 percent for every mile driven during high risk hours between midnight and 3 AM. The proprietary risk model leverages the analysis of real accident data from over 6,000 vehicles. Additionally, accident risk increases by 8.3% when a fleet driver is fatigued and behind the wheel for more than six hours. Detection systems trigger a variety of alarms. Voice instruction, buzzers and visual alerts are all used in safety training. This real-time intervention is valuable as a timely warning. It is gaining acceptance as a feature of an updated suite of telematics solutions.